It’s the list nobody has been asking for, Ref Nico’s top films of the year! This year I saw films that would make me cry my eyes out, cower away in fear, and make me laugh hysterically. We’ve had awesome blockbusters and great little pieces of cinema throughout all of 2017. As the year winds down, it became time to reflect on what stood out this year. 2017 welcomed some incredible movies, making this year a lot more memorable. While I didn’t see every single feature to come out this year, here are the ones I did see and absolutely loved. Enjoy! Not gonna lie, when I first saw the trailer for this I thought it was going to be just another run in the mill studio rom-com. Boy, was I wrong. One of the most touching and hilarious films of the year, The Big Sick chronicles the true to life love story of comedian Kumail Nanjiani and his lady Emily Gordon. The Big Sick really captured my interest for the entire runtime. It was terrific to see such an honest and funny love story on the screen. You fall for all the wacky yet grounded characters and become entranced by the story unraveling in front of your eyes. If you’re in the mood for an original romantic comedy, please watch The Big Sick. You won’t regret it. Hopefully, you thank me too. Up to you. The Shape of Water was by far one of the most interesting films of the year. Interesting being a very broad term to describe the flick. The Shape of Water could have easily been a laughable disaster, but instead is one of the best-made films of the year. In the movie, you follow the bizarre, yet charming, relationship between the creature and a janitor that maintains the testing facility the creature is being held in. The great story is complemented by incredible design from everybody ranging from make-up to set. Venturing into dark territories, The Shape of Water still comes out to be one of the most charming films of the year. A can’t-miss for anyone who enjoys a genuine and intriguing flick. Does anybody remember how much heat It got when it was announced it’d be rebooted? Me neither. This familiar story feels super original to watch on screen. From start to finish, it had my attention. I couldn’t help but buy the book right after I saw It. From fantastic direction to a very talented ensemble, It feels like one of the most complete horror films to be released in a very long time. Not relying on (a lot) of jump scares, the atmosphere feels very palpable, making the situations the Loser’s Club find themselves in feel all too real for the audience. It is one of the best popcorn flicks to come out in 2017, and a must watch for the true horror fanatic. 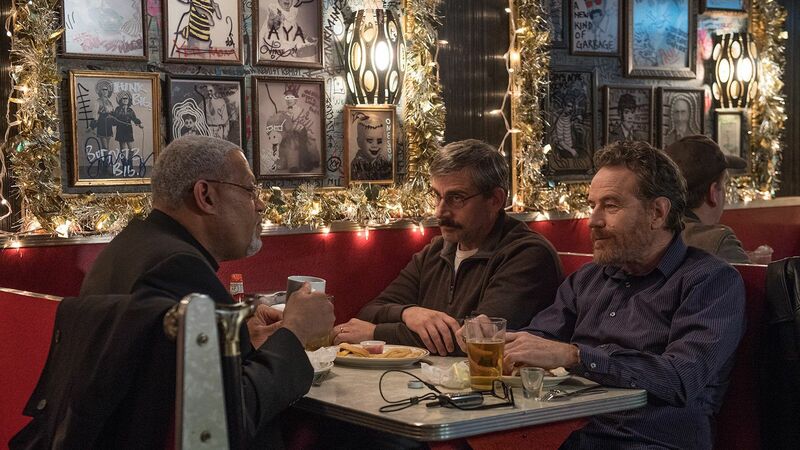 Last Flag Flying, in my opinion, is the most underrated masterpiece of the year. From acclaimed director Richard Linklater, Last Flag Flying is the story of long-lost Vietnam War buddies who reunite to help their friend in his most desperate hour. This film had a profound effect on me, it explored so many aspects of what veterans go through, something that was pretty much unknown to me. Last Flag Flying is honestly heart-wrenching, but it’s hard to deny it’s charm. With amazing performances, particularly from Steve Carrell, Last Flag Flying is the film you probably missed and really should go back and watch. Who didn’t love Get Out? Equal parts hilarious and horrifying, Jordan Peele’s directorial debut astonished audiences everywhere. This scathing commentary on what it’s like to be African-American made everyone take notice. It’s hard to deny just how awesome this movie is. 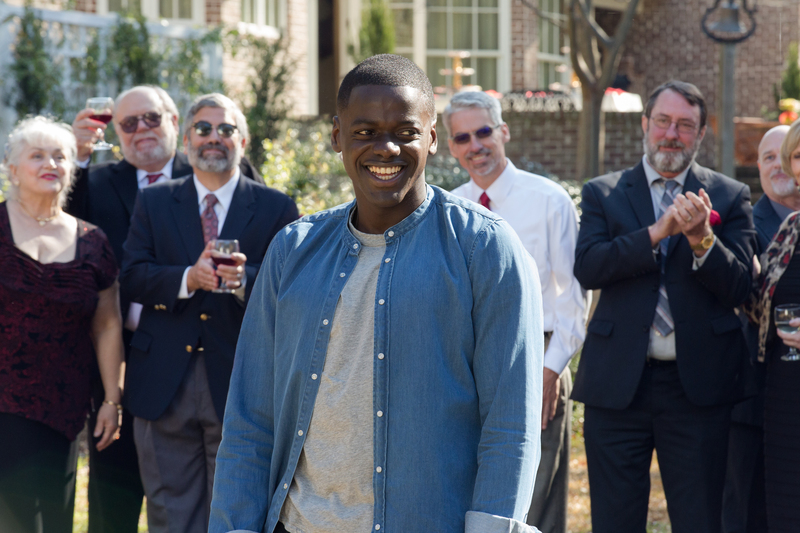 Get Out has it all, an insanely cutting-edge script, focused direction, and an A1 ensemble. It’s hard not to notice just how damn good the movie is. I remember leaving the theater in shock, who could make a movie so bold? Apparently the guy from Key & Peele. Huh. Director Edgar Wright dishes out another great film to add to his resume. 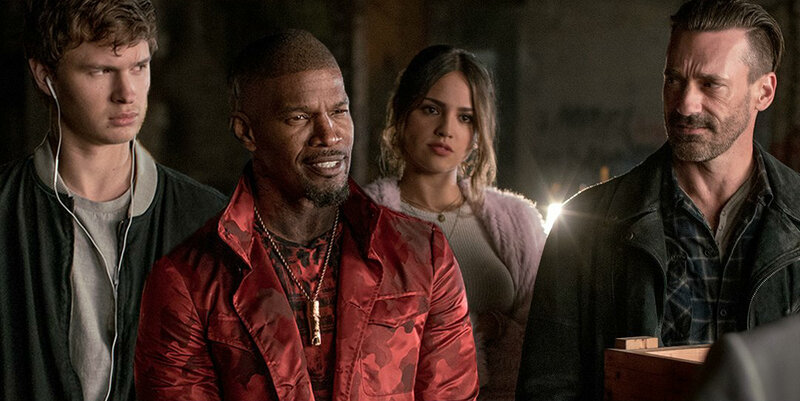 A year that had a lot of blockbusters and reboots, Baby Driver somehow manages to stand out. Following the story of a getaway driver, Baby, and his criminal activities for the people he works for, this film is wickedly entertaining. It feels completely original while managing to also be a big name studio blockbuster. The jokes are great, the action is awesome, and the signature Edgar Wright visual landscape is there. Baby Driver does an exceptional job in delivering one of the freshest and coolest movies of the year. Although one of it’s stars is one of Hollywood’s supervillains (Kevin Spacey) it is still an enjoyable watch for anybody. Full disclosure, I am a huge fan of The Room. I have seen the cult classic more times than I would like to admit. That being said, I was very excited for The Disaster Artist. It exceeded my expectations. Detailing the perils behind the scenes of The Room, it was a pleasant surprise to see such an Oscar-caliber dramedy. James Franco does a great job doing double duty as director and star. Franco makes an honest film in terms of sincerity and humor. The unrelenting comedy of the film is always met with a lot of convincing drama. 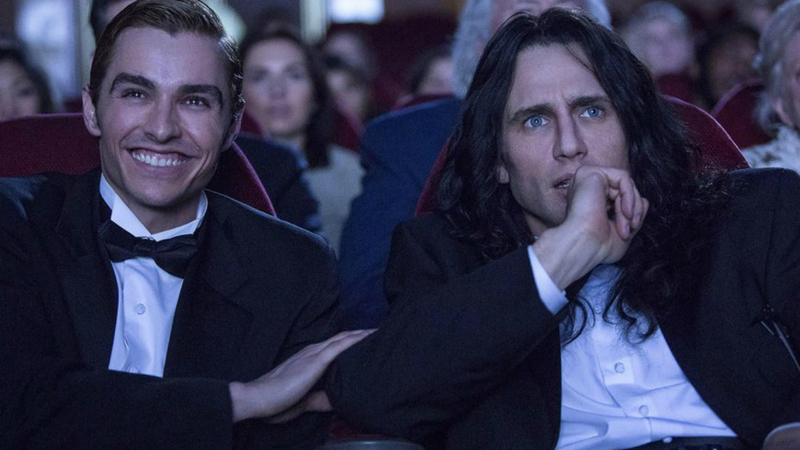 It’s also worth noting that The Disaster Artist features some of the best cameos of all time. Seriously, the best. Alright, who didn’t expect Christopher Nolan to deliver another stellar flick? The director of The Dark Knight seems incapable of making a bad movie. Dunkirk is the harrowing tale of trapped Allied forces on the island of Dunkirk, facing the impending doom of complete elimination. Without a lot of dialogue or character arcs, Dunkirk delivers one of the most awe-inspiring stories of the year. Thanks to Nolan’s impeccable direction, Dunkirk becomes a heart-pumping war flick for the ages. Not only is the film one of the best blockbusters of the year, it is also one of the best cinematic experiences to come out in a long time. I think it goes without saying that I am a huge Star Wars fan. After all, it is my choice for number one film of the year. 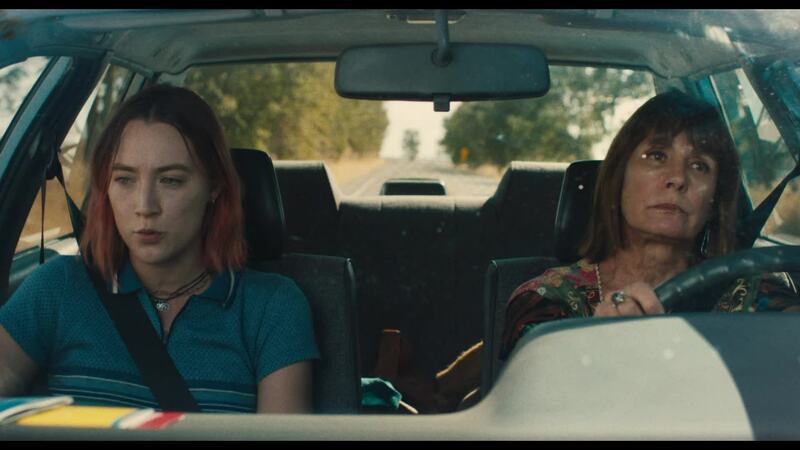 Yet I can’t help but feel it is really one of the best films made this year. Not only did it deliver on what a Star Wars film should be, it ventured into new and exciting territories that I didn’t think a Star Wars film could go to. From start to finish my jaw was to the floor. I truly felt immersed in the world I hold so close to me. Delivering in action, humor, and originality; Star Wars: The Last Jedi made me feel like I was a little kid again watching Star Wars for the first time. Although it seems to be one of the most divisive films to be released this year, I can’t help but feel like this is honestly my favorite movie to come out in 2017. So, what’d you think of my picks? Did I leave anything off? Do you hate my number one of the year? What was your favorite movie of 2017? It’s been a great year for film and I can’t wait to see what 2018 brings! REVIEW — "Call Me By Your Name"